Having played Starting 11 since the beginning of last season, I, as well as many other Fantasy Premier League managers have enjoyed the one-day, risk-free approach to fantasy football which is on offer from Starting 11. 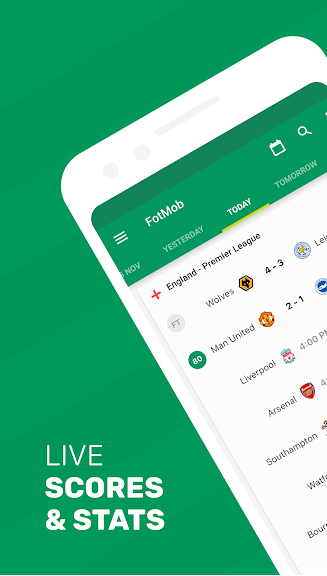 Live updated scores with every pass, dribble or tackle, I can enjoy watching the game I love whilst tinkering with my in-game subs to maximise my Starting 11 points and claim the bragging rights in my Mini League. No team value budget means my player selections are based on my gut, not over-thinking how to make the most of my budget – I have the freedom to choose any player I want. My one frustration was the positioning of a number of high-profile midfielders such as Hazard, Salah and Sterling, who Opta Sports classified as forwards – information Starting 11 use to build their game. Well, the fantasy bosses have spoken and Starting 11 have listened, as all player positions have been updated to reflect those of FPL. A new function to swap out a player from all of your lineups at the click of a button has also been added, which is part of a number of new upgrades now available to Starting 11 users. So what does this mean for our Starting 11 Daily Fantasy teams? It means we’re now able to create our best possible 11-man lineup without any player values, team budgets and players in the wrong positions. ATTACK ATTACK ATTACK! 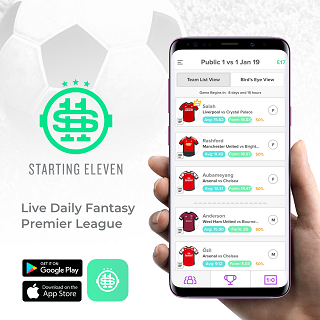 The Starting 11 iOS and Android apps are both free to download and free to play, with the option to deposit and play in Fantasy Premier League cash games also. A new stadium and a new era for Tottenham Hotspur Football Club. There can only be one man to kick-start the clubs new chapter at ‘The Tottenham Hotspur Stadium’, right? I feel like Harry Kane has been quieter than his usual self this season – his goals have been steady as opposed to explosive, but that consistency has taken him to 17 goals for the season – only 2 behind current top goal-scorer, Sergio Aguero. The visitors on Wednesday evening are Crystal Palace, who come into the tie off the back of a clean sheet against Huddersfield at the weekend – however, failed to keep their opponents out during their previous five league games. With Son expected to return to the starting 11 having had time to recharge his batteries, the Korean will help cause the Palace defenders problems – giving Kane, in my opinion, more time and space. We are entering the stage of the season where Harry Kane tends to become a Fantasy Premier League beasts; a must-own player who ends each season on a high, so make sure you’re on-board before the Kane Train leaves the station. Now reclassified as a Midfielder on the Starting 11 game, not only can we squeeze more attacking players into our sides, but goals from Eden Hazard now earn us more points. Sarri hinted that Hazard needed a rest ahead of Gameweek 32 and in the world of FPL, we were too scared of not owning the Belgian, so kept him anyway. Sarri stayed true to his word and left their leading goal scorer on the bench, but having gone 1-0 down, he was soon brought on to bolster Chelsea’s bleak attack. Sarri will have to accept that those 57 minutes in the dugout will have to be enough to see Hazard through a busy schedule and he is surely now nailed on to start this Wednesday night versus Brighton? The days of Drogba and Costa feel a long time ago, as Chelsea continue to struggle to find a reliable striker and for me, personally, Higuian is not the answer – even in the short-term. Hazard has to continue to drive his side forward, creating opportunities as well as crafting some for himself, which in return should deliver healthy returns for FPL and Starting 11 fantasy bosses. We all know Hazard tends to run hot and cold, although he continues to be a must-own player as we all fear missing his next hot streak. Could a home tie against Cardiff City be his next monster haul? Since Gameweek 24, Leroy Sane has started only three games and made one substitute appearance – failing to score or provide any assists. How can a player who was widely regarded as a must-own player earlier in the season, fall so dramatically out of favour? With returns like those mentioned above, Sane can be nothing more than a punt for our Starting 11 lineups on Wednesday night. However, I feel he is a punt worth taking based on Manchester City’s fixture congestion and Pep Guardiola’s comments this week regarding squad rotation. Pep suggested that he will make a few changes on Wednesday night – one of which has since been confirmed as Sergio Aguero after he left the field early last weekend with a knock – the rest remain as guess-work at best! Sane is fresh, perhaps a little too fresh for his liking – however, we all know he has huge upside and a home fixture versus a depleted Cardiff City is the ideal time for Guardiola to not only give the German an opportunity to play back into he first team – but also to rest other key players. If he starts on Wednesday night then it’s likely Sane adds to the eight goals and eleven assists he has in the Premier League already this season and could run riot. 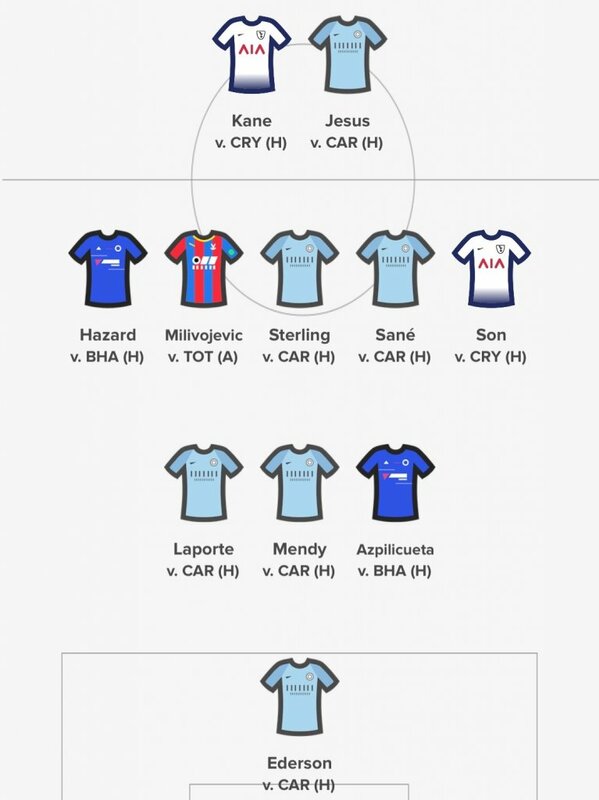 BEFORE YOU GO… If you’re an avid Fantasy Premier League players and love all things FPL, then we’re confident you’d enjoy playing Starting 11 too. Grab the FREE iOS or Android app and put your FPL skills to the test in on of this Wednesday’s Gameweek 32 contests. Good luck!